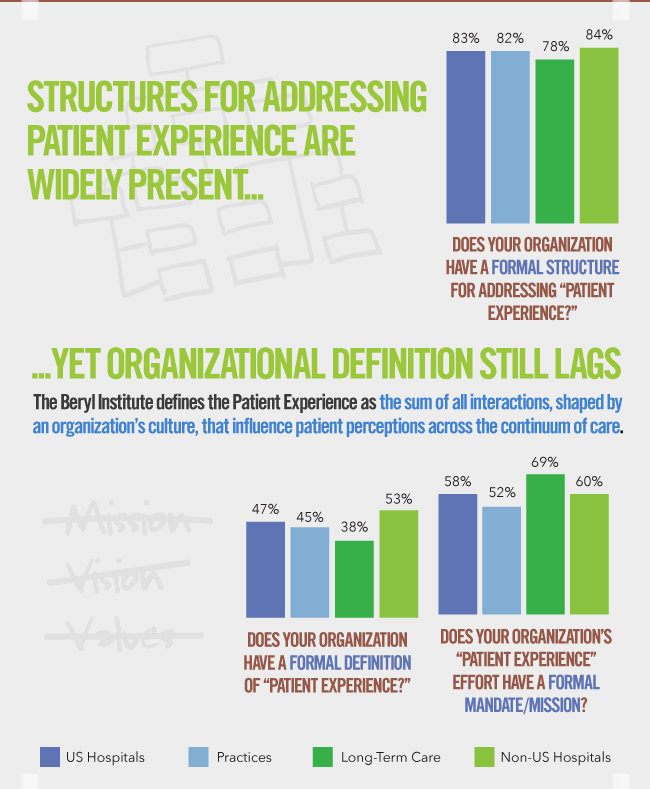 My good friend, Elizabeth Ziemba, who I met last year in Reynosa, Mexico when I spoke at the 5th Mexico Health & Wellness Travel Show, published the following infographic on patient experience from The Beryl Institute. 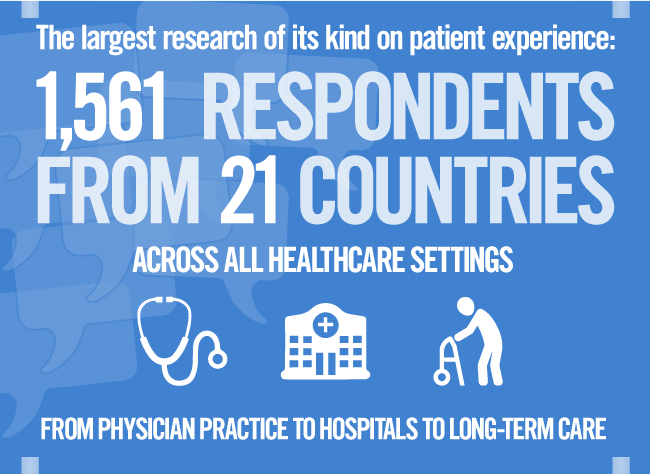 It is called, “State of Patient Experience 2015: A Global Perspective on the Patient Experience Movement”. US hospitals are designated in blue, non-US hospitals in light green. 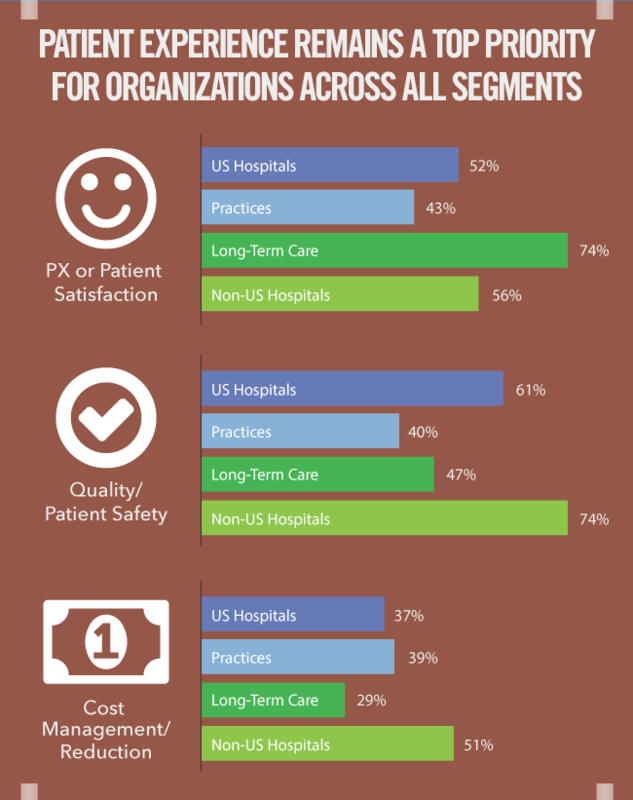 So the next time anyone says that the US has the best health care, or that medical care abroad can’t be better than it is here, or that the very idea of wanting to give injured workers access to the better medical care that these patient respondents said was better in non-US hospitals than in US hospitals, and is a stupid or ridiculous idea, show them this infographic. A connection of mine asked if there was a breakdown of the non-US hospitals. I looked at the research paper, and found none, but what I did notice was that there was slight differences in some measures between US and non-US hospitals, with the non-US hospitals slightly better than their US counterparts. 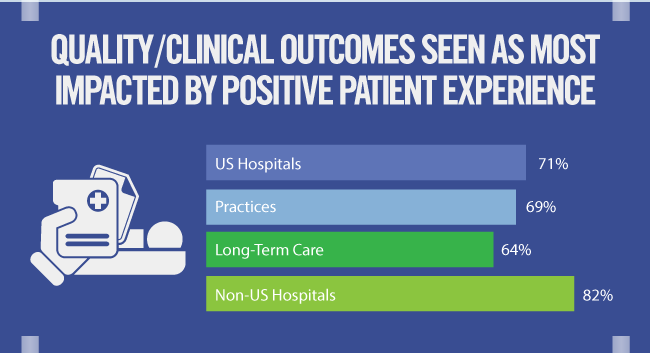 What that tells me is that medical travel destination hospitals need to do a better job in those areas so that they outshine their US counterparts. Then they will see greater numbers of foreign patients. This entry was posted in Cross-border Health Care, Global Health Care Services, Globalization, Hospital ratings, Hospital Systems, Hospitals, Medical Tourism, Medical Travel, Mexico, Patient Experience Movement, Patient Outcomes, Patient Safety, Quality, Quality Measures, Workers' Comp, Workers' Compensation and tagged Cross-Border Health Care, Globalization, Hospitals, Medical Tourism, Medical Travel, Patient Experience, Quality, Workers' Comp, Workers' Compensation on September 23, 2015 by Transforming Workers' Comp.